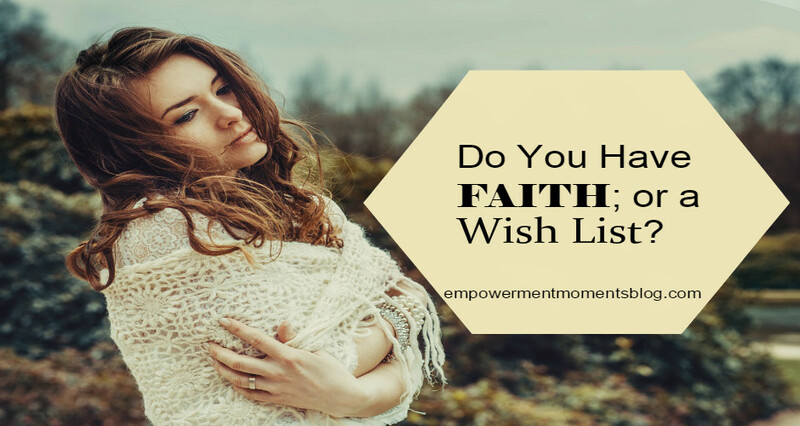 Do You Have Faith; or a Wish List? We often hear about people living by faith, and when we look at people who practice what they preach, we all want to live that way. And the best part is; we all should live that way. But how do you do it? How do you actually live by faith? What does it take? Many people think of themselves as “faith people”, but you never see any substance in their lives. They would talk about living by faith, yet you hardly ever see any changes in their own lives. Having a Wish List versus Having Faith. What seems to be the problem? Are these people hypocrites? Are they living in a dream world? Not necessarily. Many of these people might be very sincere people. The problem is that many people would hear or read about what God did for someone else. A miracle would take place in someone else’s life, and they would like God to do the same for them. This is having a wish and it should not be confused with faith. No matter what your situation is, we should not base our prayers on what happened to someone else. It is good to take note and pay attention to the miracles that take place in someone else’s life, and it is good to pay attention to people who do live by faith and follow their example. But their faith and their prayers are based on their lives and their circumstances. I have mentioned this example before in other posts as well; it is good to have a role model, and follow his / her example by doing what makes him / her successful, but don’t try to become a duplicate of that person. Don’t try to become a second Bishop T.D. Jakes or a second Bill Gates. Gloria Copeland describes this exact scenario in detail in her article How to Develop a Christian Worldview of Faith. In her article she says “Oftentimes, believers think they’re walking in faith when in reality they’re not. They’re actually walking in unbelief. In the first place, they really don’t have true, Bible hope. All they have is a wish list. They’re wishing God would do this for them, and wishing He would do that. They heard how He did it for Brother and Sister So-and-So. And now they’d like Him to do it for them. I cannot tell you how many people I’ve known in 45 years of ministry who thought they were “faith people.” For years, I watched them hang around the faith teaching, yet never did I see any substance, and never did they see any real changes in their lives and circumstances. What was wrong? Remember, “God said…and it was so.” God’s act of speaking released faith to that which He believed. When He said, Light be! He fully expected light to be. His faith took action. It spoke. I would like to say it this way: we should change our worldview to a Word-view. Know Your Identity and What It Means To Speak and Act in The Name of Jesus. That should leave no guess work as to your identity. But why are so many Christians still living a life of defeat then? Once we have said ‘amen’, we shouldn’t stand back to see what God is going to do. Think of it this way; when an ambassador to a country attends an international meeting, he is literally representing his country. When he speaks, he speaks on behalf of his country. That is why he speaks with authority. We are God’s ambassadors here on earth. I would like to compare it with this; you can get onto a bicycle, but unless you start pedaling, you won’t be going anywhere. You’ll just fall down. Yes, we do receive by faith (Mark 11:23), but that’s the bicycle – the first step. Then we need to start doing, we need to start pedaling. You cannot do the one without the other. It happens in this order: Believe – receive – action – manifestation. Who Do People See in You? We often hear people saying “I can see John’s father in him. John is just like his father”. Whose spirit is reigning in you? Who do people see when they see you? Is it the Holy Spirit? Jesus is love. Jesus is gentle. But Jesus is also bold. Jesus is strong and powerful. Jesus takes authority. Jesus is not fearful or timid. 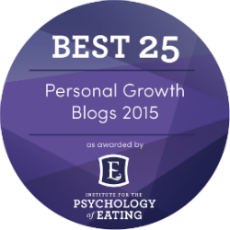 QUESTION – So, who do people see in you? 5 Comments on Do You Have Faith; or a Wish List? Faith is the foundation of our christian living. The problem with most of us is that our faith are only in our heads but in our hearts. Until we truly believe God will and can perform the promise of each Rhema verse in our heart, the faith is not real one. i love you reminded us that we are the ambassador of God kingdom on earth. we should know we have authority and power to live out the christian life on earth. Thank you so much for your valuable input.I do appreciate it. I fully agree with you that a big problem for most of us is the fact that we have faith in our heads, but not in our hearts. It is like knowing about it, but we do not apply our faith to make it personal for ourselves. It is good to have knowledge, but wisdom comes when we start applying the knowledge. Knowledge means nothing without application. Very well expressed! Provides us ‘Food for Thought’. In full agreement! Thank you for reading my post. I am glad you enjoyed it and thank you for leaving your comment. I do appreciate it. So glad to hear that the post have given you much food for thought. I also pray you find strength and hope through the words that have been expressed. God bless you.